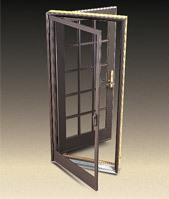 Sliding doors with thin frames are often attributed to the Modern architectural design developments of the early 20th Century. 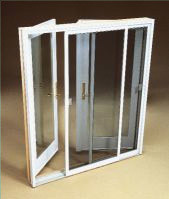 Our sleek sliding patio doors are designed to allow for maximum glass area, and are engineered for smooth opening and secure performance. 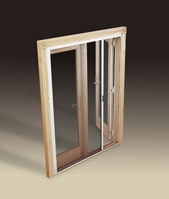 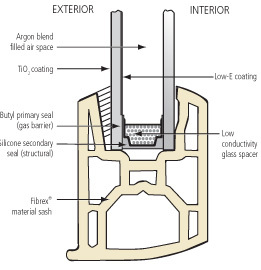 Andersen® Narroline® sliding patio doors feature a stainable natural pine interior. 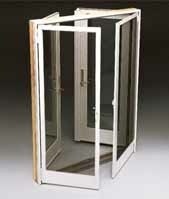 Andersen Perma-Shield® sliding patio doors have a low-maintenance, rigid vinyl surface that protects its sturdy, engineered wood core.